Lets make faces we love n hate. and their work at the Pottery Town. Diyas and lamps we play and light. Those are the ones who make our nights bright. 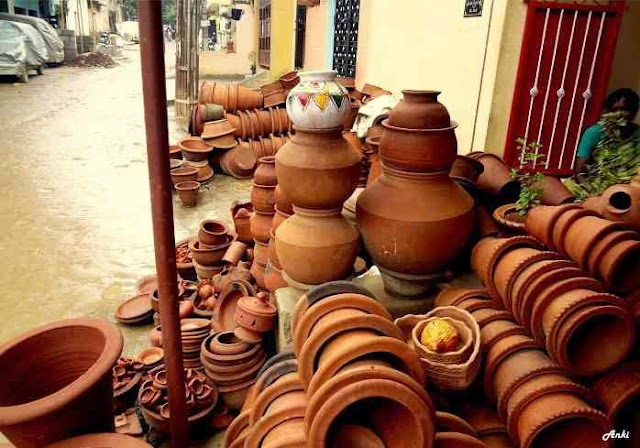 Wat Internet says about the Pottery Town in Bangalore? 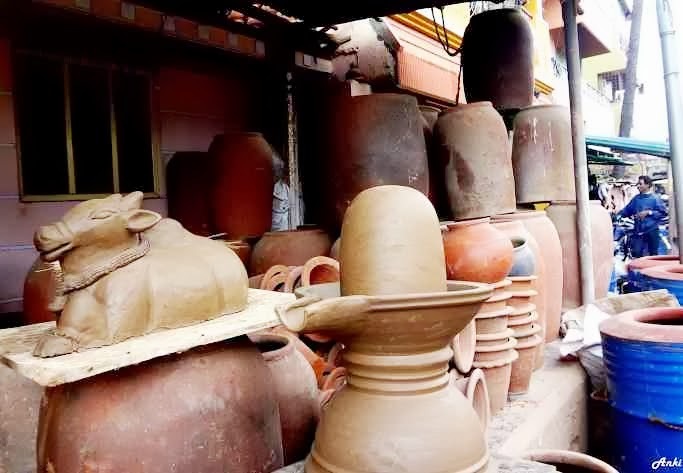 Pottery Town is an old Place in Bangalore area where people from decades have been into Pottery making,Clay Mud artifacts of Lord Ganesha are made during vinayaka chathurthi. 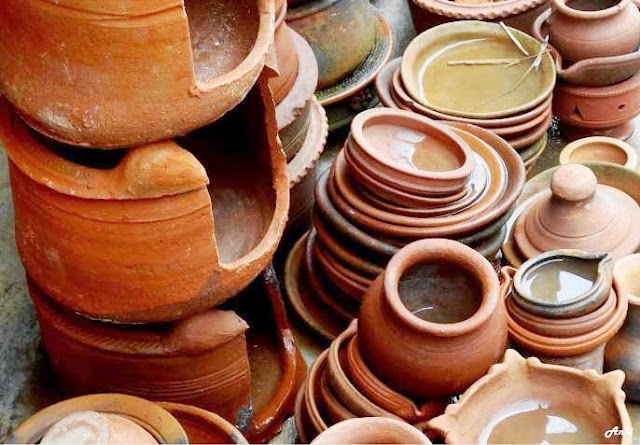 Wat Anki Says about the Pottery Town, Bangalore? 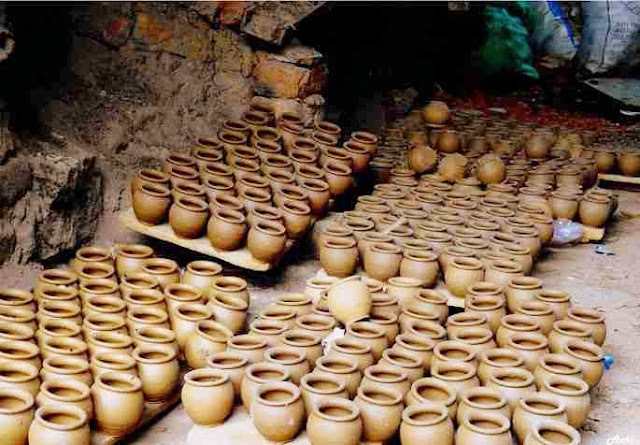 Ever wondered how the diyas during the festivals are made.We don't care do we?Today I am introducing you guys to the new world of potters,right here in the middle of the city,a lane known as Pottery Town. So well,I had a map of Bangalore with me and the name sounded too interesting to not try.While driving to the Pottery town,I saw herds of sheep in the sheep market and they said they were preparing for the upcoming EID Slaughter. I moved further,there's this small lane which is known as Pottery lane,better to ask locals before reaching there.They say it's an old place in Bangalore where people have been making Pottery for decades.There's always a high demand of pottery specially during festivals. The Potters make traditional clay lamps, water pots, cups, flower pots, vases, candle holders and statues of gods.Pots of every size and shape were piled in front of their homes. The raindrops fill the vessel,while many Potters decided to sleep in their own sweet mud huts,some of the potters were into the work come what may! It was fun,the simplicity of their live is so endearing,that I almost forgot my own lifestyle,urban,busy and complicated.He was in no hurry.Great , maybe I should have been a Potter.I came out,and clicked some pictures of the venue. Surprisingly,I found a lady asking me money for the clicks,I have heard pottery town is famous with the photographers. I am no professional,I don't even have a DSLR. So I moved out fast,but yes I can say if you're in Bangalore,and not heading to the malls the otherwise favorite hangout with friends and family,you can come to Pottery town and see how potters work with their wheels and creative hands and may be you can bargain a decent piece of pots and lamps. There are very few places in Bangalore where you can learn the art of clay painting,potter away and paint pottery.Some of them are Claytopia in Indiranagar,Doodleden in Richmond town,and The Color Factory in Richmond Town.People coming into Claytopia are at liberty to pick up anything that might take their liking and go give vent to creative abandon on a nice piece of clay.Doodleden has a lovely area with pottery area to squish,squash and have a blast. Advantage:Can get a chance to see potters at the wheel ,also can bargain a decent piece of pots and lamps. Overall I can say,visiting Pottery Town Bangalore was a good experience,do visit it to know how Potters work,it really is interesting. Planning to visit tomorrow morning. Hope to catch some potters on the wheels... Fingures crossed. @KK: Glad you liked it:).All the best for your day tommorow,i am sure you will find potters on wheels,its not rainy days anymore..and tomorow is ugadi,it must be one of the busiest days for them,these festivals are..
Do post your pics on my blog or send it to me at ankionthemove@gmail.com and i'll add it with your name and credentials. My idea of writing this blog was to help people to not get confused on how the places would be ,but just give them the true picture,so do share your pics. love how you use videos and photos together. What is the best way to get there? Driving? Taking a public transportation? FootTrackerLuvya:Thanks a lot luvya,love your blog too.Are you basically from San Fransisco?I went driving to pottery town,though you can take an auto from Bangalore Cantt Railway Station as it is very near from there. @Seema: Glad you like it :).. Interesting article. I am in the process of learning wheelwork and would love to visit this place to see the work of the real potters. Wow, that's what I was seeking for, what a data! present here at this website, thanks admin of this website. I have been learning pottery at clay station but am looking for some personalized training. Can someone give me a contact? 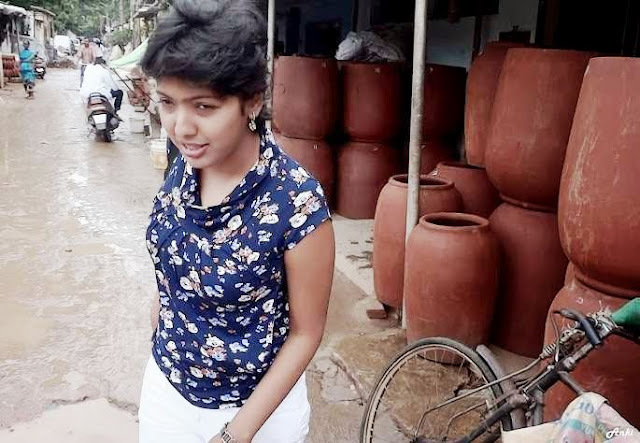 I too went to pottery town after reading this blog. Although my experience was totally different, I can never say it was not exciting. I also discovered a hidden side of the town, which is dark and humorous at the same time. Where is this place in bangalore i mean which area?